Crème of the Crop left us on July 13 2009. This mare was a favourite of many of us and will be forever missed. She left behind some awesome memories. 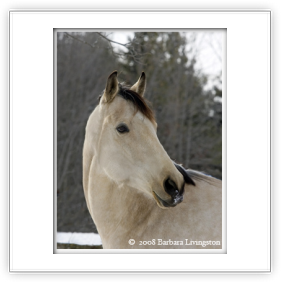 She also left behind a two month old palomino filly, Prized Possession (aka Darcie) who will remain here, mainly in her memory. Crème of the Crop (aka Dixie) was a 16 hand Warm blood/Thoroughbred cross born in 2003. 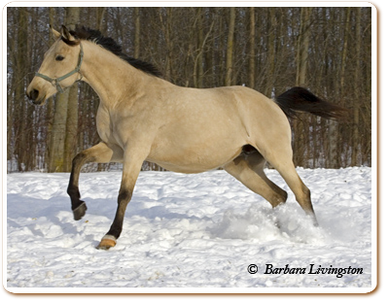 She was light buckskin in colour. 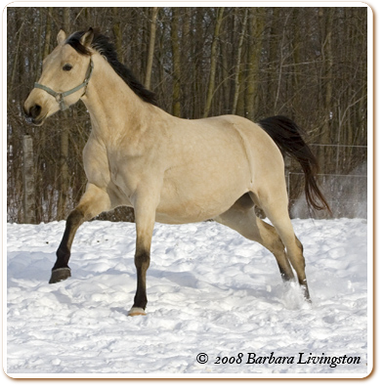 Her sire was Brilliant Intuiten, a 16.2 hand buckskin stallion by Glitter Please. 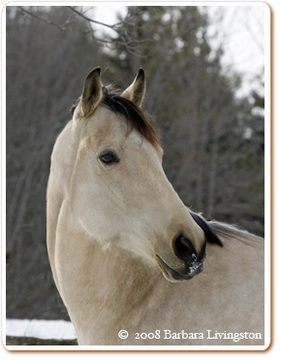 Her dam was Made To Order, a 15.2 hand buckskin and white tobiano mare. 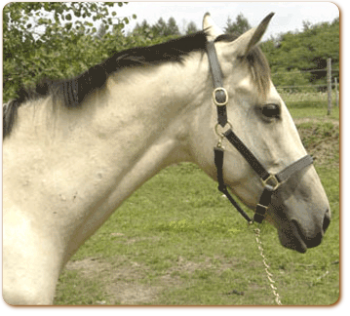 Crème of the Crop was approved by the Canadian Sport Horse Association for breeding and was approved by the Rheinland-Pfalz-Saar-International in September 2008. This mare did it again for us in 2008! She delivered a beautiful, tall and leggy creamy coloured palomino colt for us by "Mirabeau", a 16.2 Cremello German Warmblood.on May 22. Dixie's colt Mirage went Premium Silver at the RPSI inspection in September 2008. Crème of the Crop was bred back to Mirabeau for a 2009 foal and delivered another stunning foal. 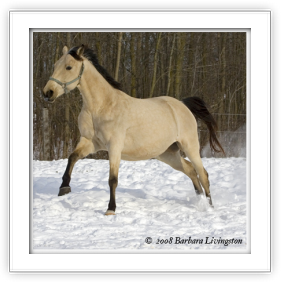 Prized Possession (aka Darcie) is palomino filly with the “look at me attitude”.